A stunning display of contemporary artistry, Marsh's carafe and tumblers lend lyrical sophistication to a bar or tabletop. Crafted from Britannia silver, the four tumblers sit slightly slanted, giving these clean globes a modernist feel. 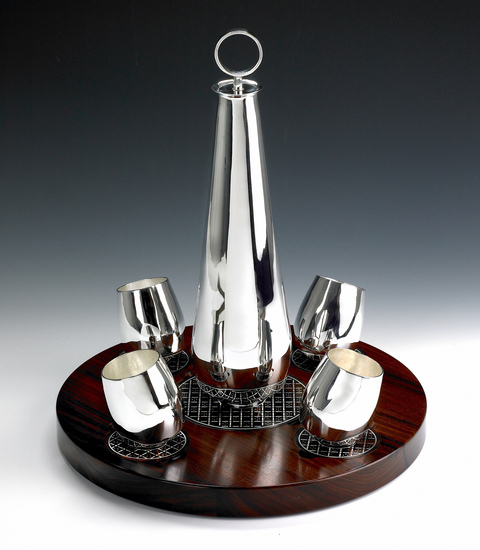 The silver carafe is sculptural and stunning, thanks to its gracefully fluted neck and elongated body. A highly glossed, richly veined rosewood tray completes the look.